One of the four elements of classical antiquity, water is central to the environment of our planet. 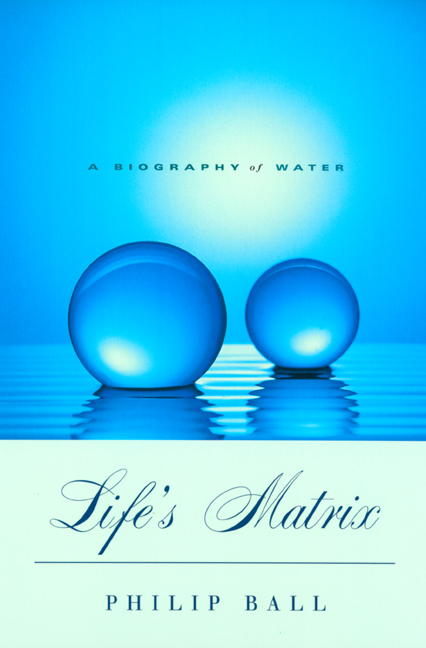 In Life's Matrix, Philip Ball writes of water's origins, history, and unique physical character. As a geological agent, water shapes mountains, canyons, and coastlines, and when unleashed in hurricanes and floods its destructive power is awesome. Ball's provocative exploration of water on other planets highlights the possibilities of life beyond Earth. 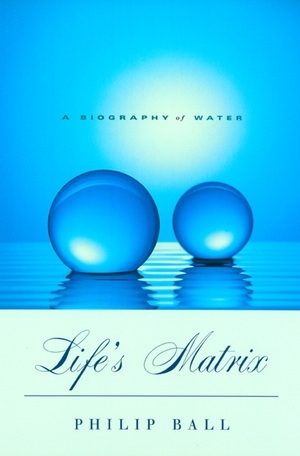 Life's Matrix also examines the grim realities of depletion of natural resources and its effects on the availability of water in the twenty-first century. Philip Ball studied chemistry at Oxford and received a Ph.D. in physics from the University of Bristol. He has worked for ten years as an editor at Nature magazine. He is the author of Designing the Molecular World: Chemistry for the 21st Century (1994), Made to Measure: New Materials for the 21st Century (1997), and The Self-Made Tapestry: Pattern Formation in Nature.